Client nutrition is important. It’s no secret that nutrition is the cornerstone of weight loss, yet it’s one of the biggest barriers for people. Many clients make nutritional changes, work incredibly hard to reach their goals, and are frustrated when they don’t see results. As an online trainer that may not have face time with your clients on a regular basis or even at all, every detail is vital to paint the picture of your clients’ overall health so that you can help create lasting change. While tracking your clients’ macros helps both of you to understand how they can generally improve the tricky balance between protein, carbohydrates, and fats, it doesn’t tell the whole story of their nutritional challenges. How much sugar is in their diet? What amount of their diet is processed foods? Are they being truthful to you about what they are actually eating? Macros unfortunately only goes so far into helping understand your clients’ personal barrier to achieving their goals. Luckily, integrating your clients’ wearable health trackers such as Fitbit and apps like Myfitnesspal allow you to see not only their macro breakdown but exactly what they are eating when it syncs up each day to their calendar. This may be uncomfortable for your clients at first, but it’s crucial in order to be able to make specific recommendations and provide them with the tools that will make them successful. Trainerize offers a FitBit nutrition integration. Start your free 30-day trial of Trainerize. To illustrate why the details of a diet program are important, think of a client that switches to salads for lunch in order cut calories yet doesn’t see any results after a month. Changing an entire meal should surely make an impact in client nutrition, right? 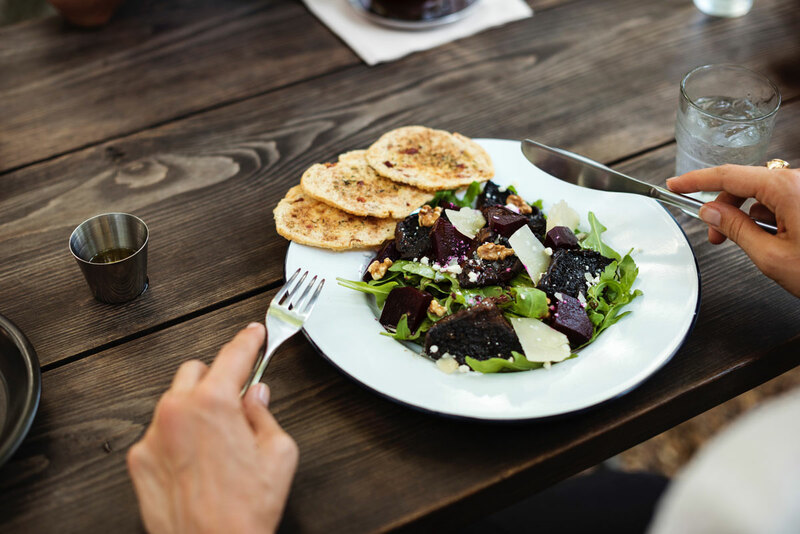 By seeing exactly what they are eating on a daily basis, you may recognize that this particular client tends to have a larger snack in the afternoon because they are still hungry after that salad. From there, you could recommend adding some protein to their lunch such as grilled chicken to curb their appetite for longer. Or maybe the salad dressing and toppings they choose are actually more calories than their former lunch choice. Without seeing the details, you may miss out on small details that could make a big impact on results. When you’re dealing with client nutrition, give your clients the skills to develop autonomy. The above example illustrates how a client may get stuck in their efforts and not understand how to make the right changes on their own. Every client is different, so it’s important to analyze each client as an individual. With your help tweaking the unique diet challenges that clients’ face, you can educate and empower them so that they truly understand how to live a healthier lifestyle. If they can get to a point where they no longer need your nutritional guidance, then you can be proud! You’ve done your job and made a lasting difference. Take your Fitness Business to the next level. Copyright © 2012-2019 Trainerize - Personal Training Software To Better Connect Trainers and Clients.